Marcel began his musical career with the Concord Blue Devils and continued by touring with the likes of Gloria Estefan and Tony Bennett. His trumpet skills are present on recordings by Celine Dion, Crystal Gayle and Sammy Davis, Jr. to name only a few. 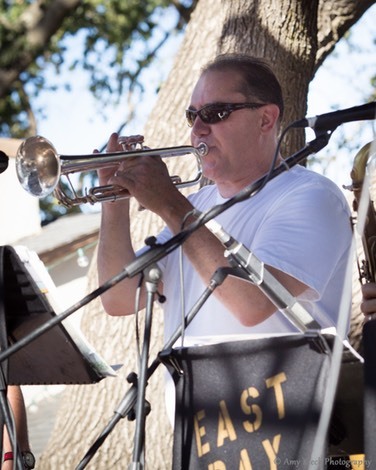 Marcel joined the Air Force Academy Jazz Band and toured the world as Lead Trumpet for 20 years. His skills the give East Bay Mudd Horn Section a powerful edge.